In an ever increasing one-person filmmaker environment, editing is an important thing. It's often not enough, at least in my case, to be able to shoot and pass the footage to an editor and most importantly, editing is enjoyable! Well, it can be. Recently I have been thinking about upgrading my editing system, increasingly because I want to shoot and edit 4k effectively. Hardly any of my clients ask for it but you need to future proof and 4k is not, in my opinion, far off being the standard delivery specification. It has many benefits within your edit too; punching in on footage to re-frame (ideally you will compose perfectly on a shoot - but we all know that this doesn't always happen on run-and-gun corporate work where you have no time to go to sip a cup of coffee, let alone set up perfect shots). It also looks fantastic! Common sense prevails; 3840 x 2160 pixels is better than 1920 x 1080 pixels, compare footage of the same thing and try and tell me otherwise! Few people own a 4k TV, and no-one owns a 4k viewable phone right now (this will be undoubtedly the biggest game changer for 4k filmmaking) - the iPhone 7 plus is only 1920x1080 pixels, so editing in 4k is frankly a tiny bit pointless and seriously data-heavy right now. However, as I say, future proof! I'm not in a position to re-buy a complete edit 'suite' just yet, but I thought it would be fun to come up with my dream editing set-up as a build from scratch computer. The only rules are that it needs to be vaguely achievable financially, ie. not £100,000 of computer - there's no point in that! It also needs to be able to edit 4k video with ease and I want it to be able to edit 8k video at some point. So future-future proofing. Your computer's Central Processing Unit is the electronic circuitry within a computer that carries out the instructions of a computer program by performing the basic arithmetic, logical, control and input/output operations specified by the instructions. It's pretty key and generally speaking the most expensive component of a computer (other than potentially the graphics card). Most importantly, the processor determines the speed at which you can edit. No-one likes a slow computer. The CPU does the computational work like running programs. But the cores of a CPU can only perform one task at a time per core. Here is where hyper-threading and multi-core CPUs come into play. Now, you can add multiple CPU's to your computer via the motherboard (if there is more than one CPU socket, however, this level of power is reserved for supercomputers, servers, etc - where serious computational power is needed. Essentially 'cores' are CPU's, so, for example, a quad-core processor has 4x CPU's. The more cores, generally speaking, the more powerful the computer. But the clever thing is that as multiple cores are within one 'CPU' then there is only need for 1x socket, which by and large is the number we are looking at when it comes to motherboards and therefore there is less latency (the delay before a transfer of data begins following an instruction for its transfer) because the cores are on the same chip, so they communicate faster. This is good, this equals processing speed! Now onto threading, or hyper-threading technology. Intel chips use hyper-threading to speed up your system. 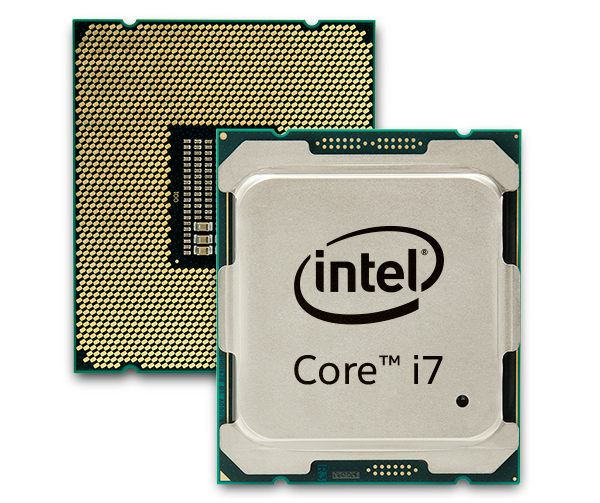 A single Intel chip with hyper-threading reads as 2x CPUs to an operating system. It's actually confusing the system, the chip only has a single set of execution instructions per CPU, however by essentially confusing your operating system and making the CPU think it has more cores than it really does, you speed up program execution. Excellent! Side note: this is not technically as effective as having 'real' multiple CPU's. Intel CPU's all use hyper-threading, so, for example, a quad-core processor with hyper-threading will appear as 8x cores to your operating system and an octa-core processor with hyper-threading will appear as 16x cores! Wow. The Intel i7-6950X is a BEAST. It has a massive 10-core CPU with hyper-threading, which means it has 20 threads! The speed of the processor (CPU clock speed, or clock rate, is measured in Hertz — generally in gigahertz, or GHz. A CPU's clock speed rate is a measure of how many clock cycles a CPU can perform per second. For example, a CPU with a clock rate of 1.8 GHz can perform 1,800,000,000 clock cycles per second) is 3.0-4.0 (turbo) GHz. That's fast. Really fast. If it wasn't for the fact that DaVinci Resolve is the best bit of (free) grading software out there, then the graphics card would not be too important. But I grade with it so a graphics card is really important. A graphics card, or graphics hardware to be exact, is computer hardware that generates computer graphics and allows them to be shown on a display. Usually, the graphics card is used in combination with a device driver to create the images on a screen. The GPU, or graphics processing unit, is the unit that allows the graphics card to function. It performs a large amount of the work given to the card. The majority of video playback on a computer is controlled by the GPU. Once again, a GPU can be either integrated or dedicated. Video playback is, of course, pretty important when it comes to editing. The choice of graphics card is a little easier than the CPU as there are only 2x real competing manufacturers of graphics cards: NVidia and AMD. SO naturally you look for latest high-end released by either company, which happens to be a few months ago by NVidia; The Gigabyte Aorus GeForce GTX 1080 Ti 11GB. The max digital resolution is 7680x4320 (that's 8k future-proofing sorted) and this graphics card is just incredible and packed with some serious horsepower. A motherboard is the main printed circuit board (PCB). It essentially allows connections between everything, ie the CPU and memory, and provides connections for other peripherals. Most importantly you need the motherboard to have the right socket for the CPU chipset that you are using, in my case the Intel i7-6950X uses the LGA 2011v3 socket, so this (thankfully) narrows our options with what is available. The motherboard does not affect the performance of the computer, as long as the key components fit within it; CPU, graphics card, RAM etc but you do need to think about additional elements like connector ports that will be provided (USB 3.0 / FireWire / Thunderbolt ports). Most modern motherboards will also always include heat sinks and mounting points for fans to dissipate excess heat. Because this machine will get hot! Obviously when editing video then the size available on your computer is a key thing, so you could look at multiple trays for additional memory, however using a Sony Fs7 camera (that I own and operate) is like running a cargo ship when it comes to data size, so I always use external hard drives. So I want space but not gigantic amounts on the computer. One very important extra thing to think about is sound, this is not a separate thing like other peripheral elements and does come from the motherboard. The quality of sound is more important than visuals to me, so this thing needs to have a seriously good sound potential. I also want to future-proof it somehow, so any new ports that I haven't seen yet, that would be a bonus. A quick look at reviews online, all point me to the ASUS X99 Pro/USB3.1 - which ticks every box imaginable. It has a LGA 2011v3 socket, that will work with my Intel i7-6950X chipset. Next it has unbelievably fast 10Gb/s USB 3.1 ports built into the board (which is 2x faster than USB 3.0 which I currently use). As a side point though, if you did want to use USB 3.0, which I will at times to revisit old edits, then it has 6x USB 3.0 ports. Slightly excessive but you never know! Having enough RAM is critical with video editing, especially if you are pushing 4k or even 8k editing. Most professionals recommend at least 8GB for 1920 x 1080 full HD editing, and at least 16GB for 4k editing. Servers can be limited by in-sufficient RAM, and we don't want that, so we are going to go (a little over the top) with a 64 GB DDR4. It actually consists of 4x 16GB DDR4 server modules, operates at speeds of up to 2133 MT/s (Mega transfers per second) and CL15 latency (the lower the latency the faster the response time). The general consensus seems to be that video editing is one of the few applications that makes good use of large amounts of RAM, so it's good to invest in as much as you can. The Samsung 960 Pro 1 TB M.2 SSD is designed for high end workstations, the read/write speeds are huge (up to 3,500/2,100 MB/s) and it has enhanced bandwidth and lower latency than SATA SSDs. This is the 1TB model, but there is also a 2TB model, which is unprecedented for these kind of SSDs. The HGST 6 TB hard drive, holds up to 6TB storage, is great for power efficiency, and works great with everything I am looking at. There is not a huge amount to say about hard drives really, they need to have fast read and write speeds and be able to store enough data, both of the above do that to a very high level. It's very important to get a high quality power supply, especially as if something goes wrong then a cheap supply could be the cause of a disaster. It needs to obviously work with the motherboard to power it. A quick look online points to the EVGA 1000 P2 which ticks all the right boxes. You need a lower CPU temperature to provide stability, efficiency and reliability. You want something that improves air flow as well as reducing noise drive, which results in a cooling-to-noise ratio. These things ultimately are important if you are over-clocking your CPU (essentially making it work faster than the original manufacturer intended) and whilst this is not really likely with the set-up we have created, this is after all a dream build (within a vaguely realistic financial limitation), so let's allow for potential overclocking and go for the Corsair Hydro H110i. It is designed for extreme performance and is an all-in-one liquid CPU cooler for cases with 280mm radiator mounts (we will have to bare this in mind when looking at a case). It has dual SP140L PWM fans for heat dissipation. You can also change the colours of the LED lighting (it's the little things). The fans are PWM controlled, which means that you can control the speed they operate at, which is good for future proofing the cooling of any additional elements that you may add in the future. The keyboard and mouse are obviously important, you use them to death. 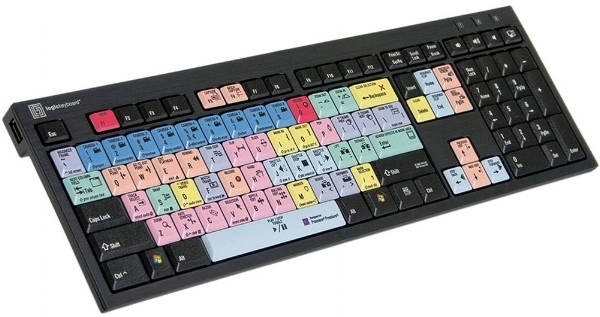 I'm not personally a fan of all the crazy controllers that you can get for editing (perhaps because I am not a good enough editor to have need for the speed capabilities that they provide. The most important thing for me is shortcuts, so a Logic keyboard pro is my best bet and the Razer naga chroma mouse looks nice and has great reviews! There's no point building a dream PC and not having a good monitor. I have had my eye on the LG 38" curved 21:9 monitor for some time (thanks Philip Bloom) and this would make a lovely addition to the dream build. Resolution is 3840x1600 QHD, which makes it 3x that of a full HD (1920x1080) space. It replaces the need for multiple screens, which makes this a much more practical and neat solution. There is also a 14 option screen split, which I would find very useful, needing access to email, internet, editing and (I can't help it) video platforms at the same time. I am constantly flicking between them via hot corners and it is a nuisance.